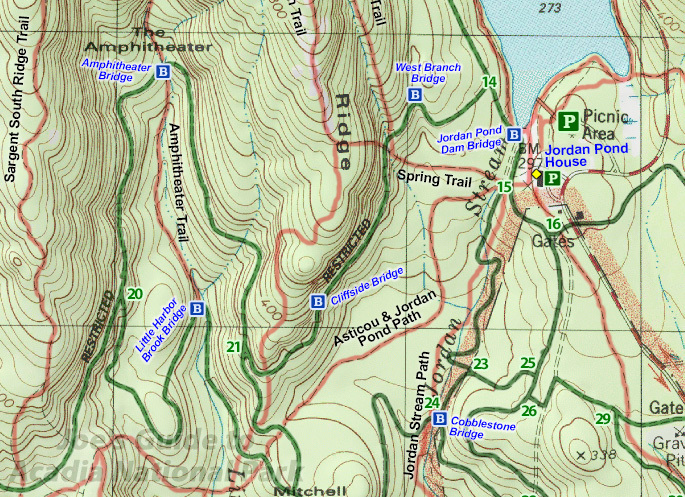 Located in the heart of the Middle Peaks area in "the amphitheater" valley between Cedar Swamp Mountain and Penobscot Mountain, Amphitheater Bridge is one of the crown-jewel bridges of the carriage road system. 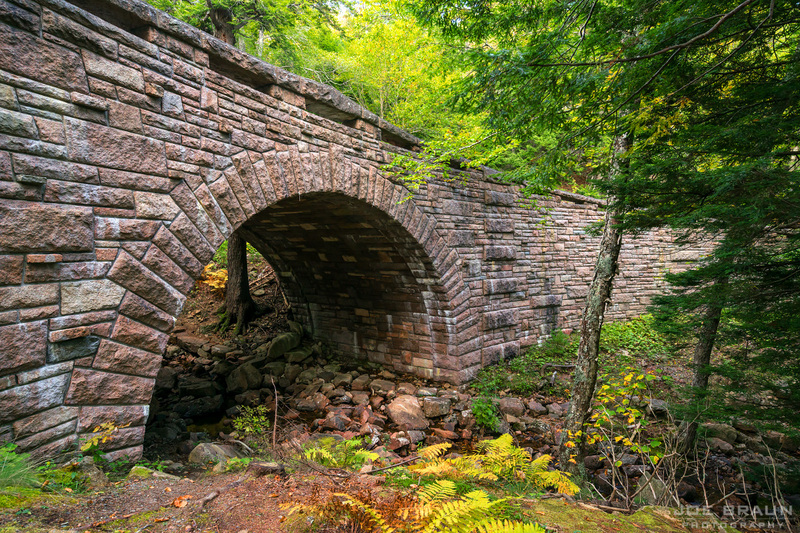 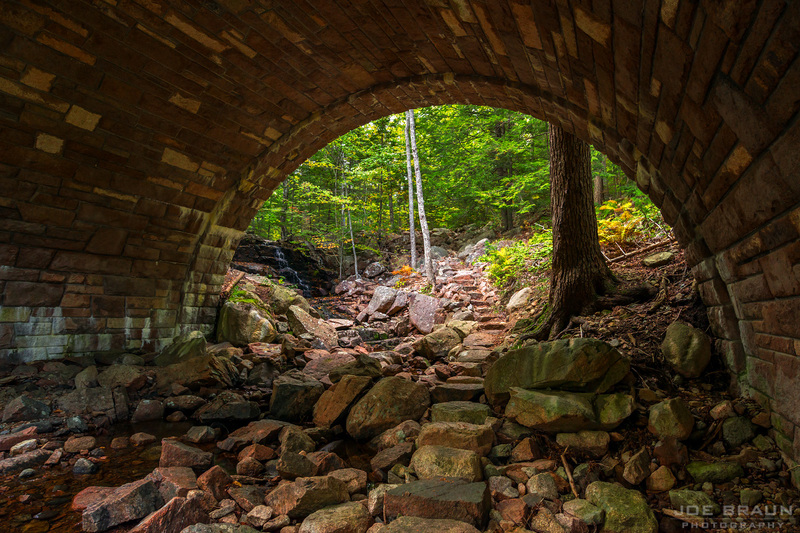 Completed in 1931, it is also one of the longest bridges (245 feet) with a single large arch spanning Little Harbor Brook. 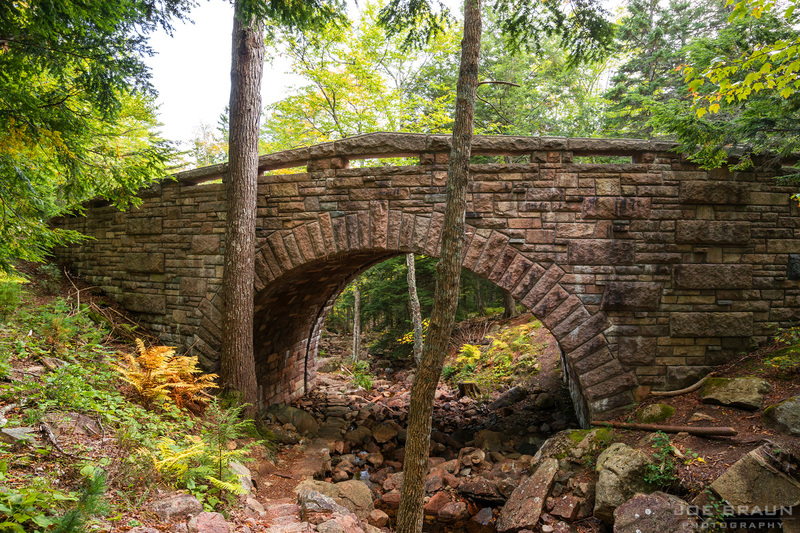 The stonework of this pink granite bridge is precise and the patterns of raised pieces along with the open spaces under the top railing make this a work of art.